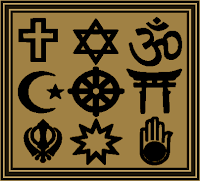 Brookings Interfaith Council: BIC to Discuss Interfaith Perspectives on "Happiness"
BIC to Discuss Interfaith Perspectives on "Happiness"
What do Buddhism, Judaism, Christianity, and Islam teach us about the concept of happiness? What do these ancient traditions hold in common about this often elusive state of being, and what are their greatest points of difference? How do they define happiness? Is happiness the purpose of life, or is it a reward only available after life? Listen to His Holiness the XIV Dalai Lama discuss happiness with The Most Reverend Dr. Katharine Jefferts Schori, the 26th Presiding Bishop of the Episcopal Church; Chief Rabbi Lord Jonathan Sacks of the United Hebrew Congregations of the Commonwealth; and George Washington University Professor Seyyed Hossein Nasr, a world-renowned scholar on Islam. Krista Tippett, host and producer of the award-winning public radio program "Being" (formerly titled "Speaking of Faith"), will moderate. We hope to follow the video with small-group discussion. If you’re interested, you can watch the full video from the Summit (nearly two hours long) at this link. Please bring a potluck dish to pass for the meal, if you are able, or just show up for the evening. All are welcome. Invite a friend. Please be aware that many in our interfaith community do not eat pork or may be vegetarian.